As part of its parent company, Fitzers Catering Ltd, Savage Food Company captures the energy, the verve and trends of big flavours with street-food dishes and has played a vital role in catering for a number of prestigious concerts, film productions and outdoor corporate events throughout Ireland. Our eye-catching Mobile Catering units allow us to service events to the highest standard, anywhere in Ireland, even at remote locations or difficult to service venues like back pitch Catering for International Rugby Matches, feeding actors and crew on rural Movie & TV sets, or the artists and musicians at live music events. 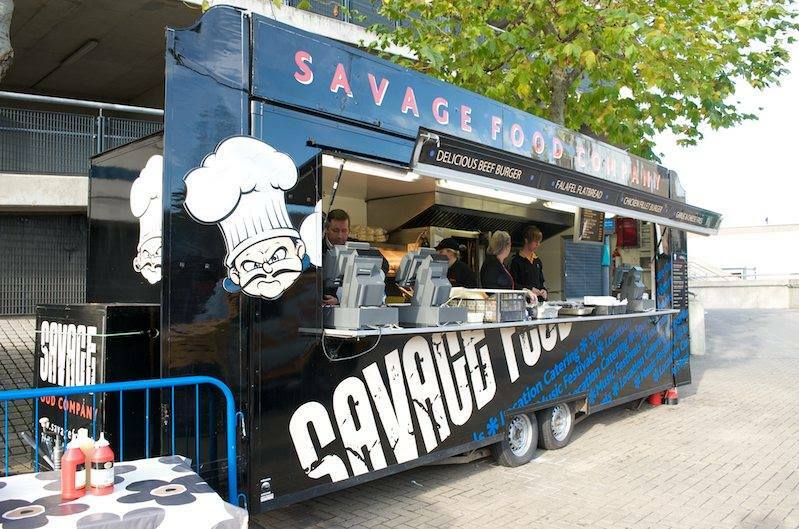 When Catering for Film & TV Location or other Commercial Catering events, the Savage Street Food is a mobile division, designed to fit in perfectly with the demands of high-paced, dynamic environments without compromising on food quality or service. Since 1986, we've catered for some of the most iconic movies and television shows shot in Ireland. When catering for music events The Savage Food Company offer menus that are designed to motivate the palate, energise, and provide a choice of nutritious healthy options throughout the day. Our fleet of mobile food trucks called 'savages' & 'dogs' can be set up to recreate a Street Food & BBQ Village, with a food festival vibe. 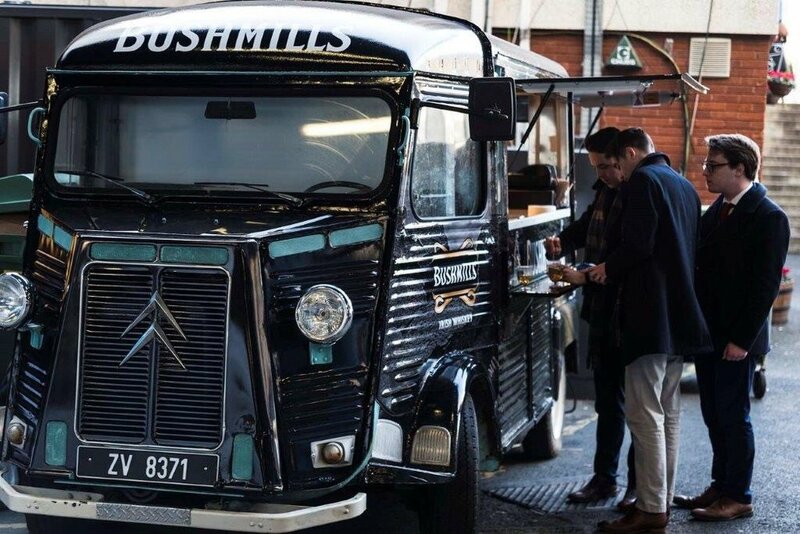 This literal moveable feast, a cavalcade of vintage, creates an imaginative foodie festival vibe, that is ideal for product launches, weddings and company BBQ's.